The limestone dust hung thick over the old desert during the drought of the early 1950s. By day it bleached the south Texas sky a bone white and at dusk transformed the sun into a blood red balloon on the horizon. On these eerie crimson evenings, when the gloomy Headquarters house a La Parra felt most like a tomb, Sarita Kenedy East would put on her black-lace mantilla, genuflect before her bedroom altar, and then slowly make her splay-gaited way up into the gun tower atop he Headquarters, where she sat alone, surveying her endlessly flat, 400,000 acre domain. The servants reported that the widow often remained in the tower well past dark, sipping her tumblers of scotch and sometimes boozily yodeling the exuberant country-and-western dance tunes of her youth. But most of the time – and this was what touched and saddened the ranch’s vaqueros and their families – La Parras’ barren patrona made no sound at all. From their doorsteps they watched her silhouette until she was lost to them in the later hours of milky moonglow, still sitting silently, searching for the far limit of the featureless terrain. Sarita Kenedy East of Sarita, Kenedy County, south Texas, was the granddaughter of one of the authentic giants of southwestern history, the nineteenth-century Rio Grande steamboater Captain Mifflin Kenedy, who established La Parra in the parched wilderness of the Wild Horse Desert after helping his young friend Richard King found the mammoth King Ranch next door. The old captain was an empire builder, but his dreams of a Kenedy dynasty died in the family’s third generation. Six decades after Captain Kenedy’s death his granddaughter, once a high-spirited woman, had withdrawn from the world. She was driven to her evening vigils by an inner void and by her lonesomeness. 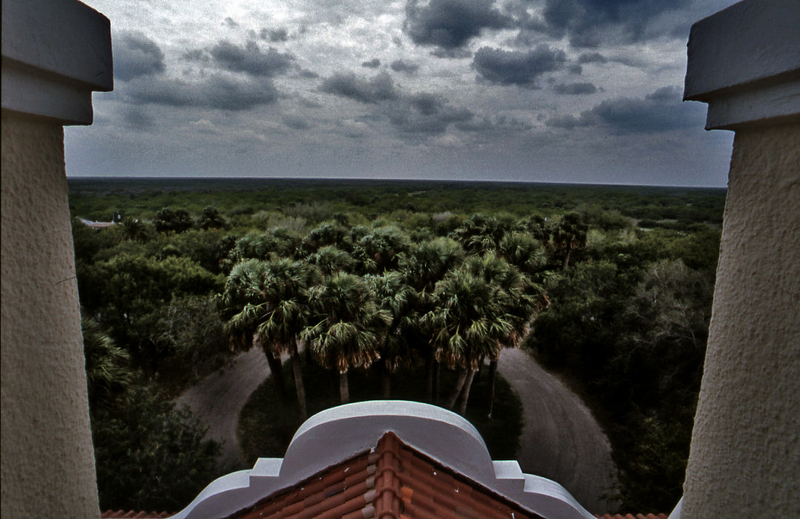 Looking out toward the nearby Gulf of Mexico, Sarita pondered the ranch graveyard, where in 1932 she had buried her father, John Gregory Kenedy, known in his day as Don Gregorio; next to him her mother, the former Marie Stella Turcotte of New Orleans, who died in 1940; then her husband of thirty-four years, Arthur L. East, a heart attack victim at the age of sixty-one in 1944; and her adored brother Johnny who, who drank himself to death in 1948, four years before the drought struck. She had arranged them in a tidy row, with space reserved next to Johnny for his starchy widow, Elena, and another measured rectangle between her mother and Arthur, where Sarita would be interred. 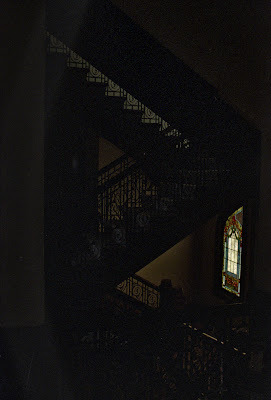 The Mexican cowboys, who believed in ghosts, speculated among themselves that Mrs. East communed with her dead family on her nights in the gun tower. But Sarita, whose faith led her to trust that her parents and husband and brother were gone to heaven, mourned in the dark for what never had been, a next generation of Kenedys to carry on the family legacy, La Parra. She was the last of the line, procupied by her own inevitable demise and surrounded in her grief by collateral relatives who, according to Sarita’s bitter metaphor, had begun eyeing her with the undisguised greed of carrion eaters waiting for a sick heifer to expire. After the death of Sarita Kenedy East, litigation concerning her estate continued for more than two decades. The following article, although not 100% accurate, provides a glimpse of how the story was reported in the news. EAST, SARITA KENEDY (1889-1961). Sarita Kenedy East, South Texas rancher and philanthropist, daughter of John G. and Marie Stella (Turcotte) Kenedy, was born on September 19, 1889, in Corpus Christi, Texas. Her grandparents, Petra Vela and Mifflin Kenedy were the founders of the vast La Parra Ranch in what was then Cameron County (now Kenedy County). She spent much of her childhood at La Parra, and her father named the new town of Sarita, located on the Kenedy ranch, for his daughter upon the town's founding around 1904. 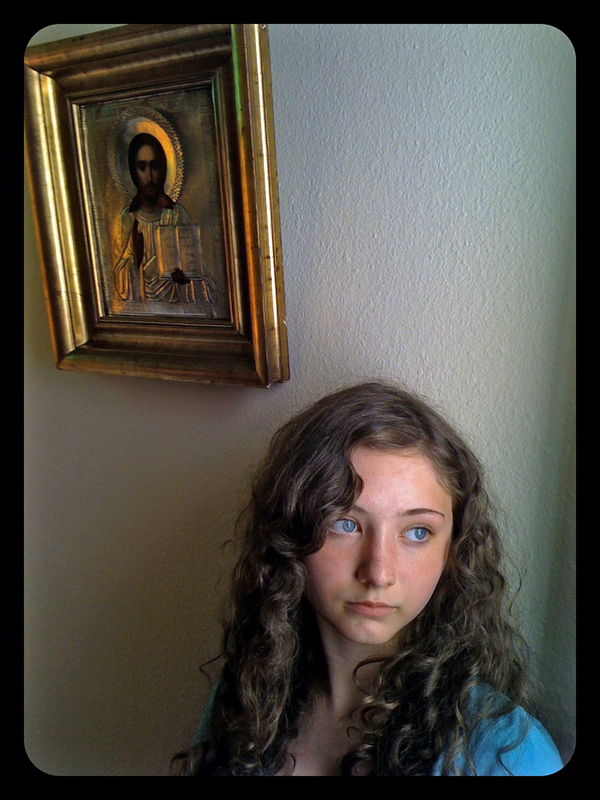 Sarita attended Incarnate Word Academy in Corpus Christi and then H. Sophie Newcomb Memorial College in New Orleans. 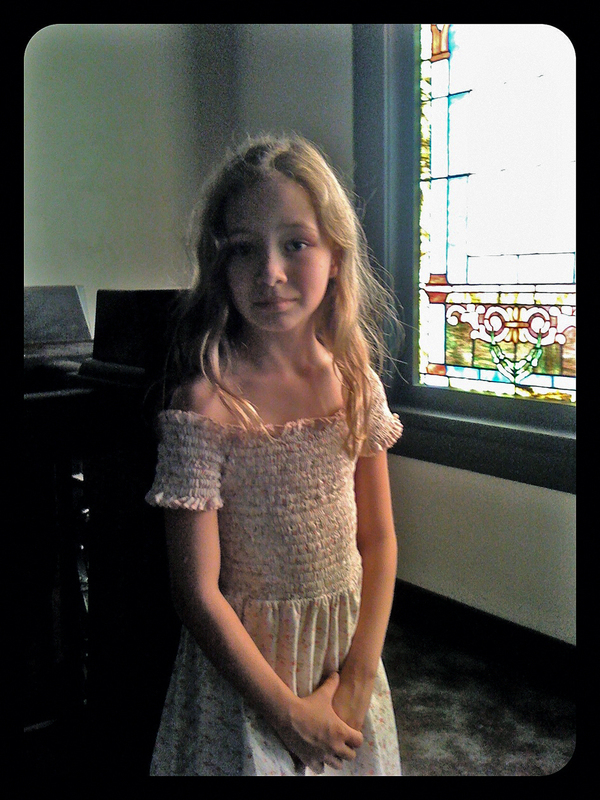 She also made her debut in New Orleans. She did not complete college, but instead returned to La Parra. On December 8, 1910, she married Arthur Lee East, a South Texas rancher. They did not have any children. 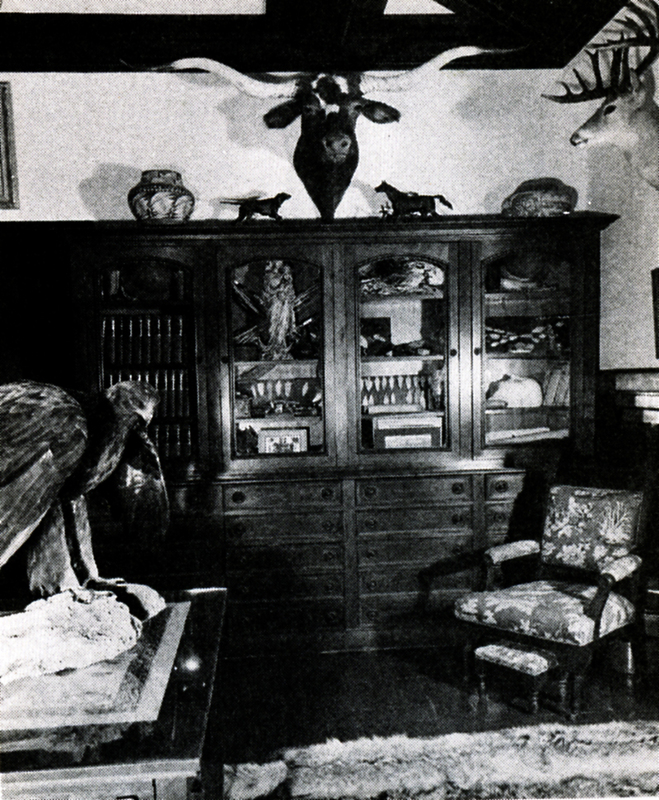 After Arthur East died in 1944, Mrs East and her brother John G. Kenedy, Jr., were in charge of the 400,000-acre Kenedy ranch. Upon her brother's death in 1948, Sarita and her sister-in-law Elena Suess Kenedy became the sole heirs to the ranch. 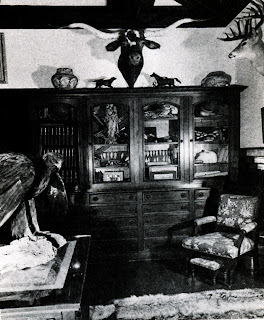 Sarita East also owned the San Pablo Ranch near Hebbronville and Twin Peaks Ranch in Colorado. 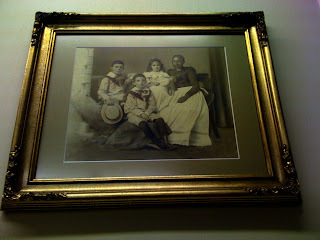 She served as a county commissioner of Kenedy County and was on the board of directors of Alice National Bank. In addition to her business dealings, she engaged in philanthropy, especially to Catholic charities. 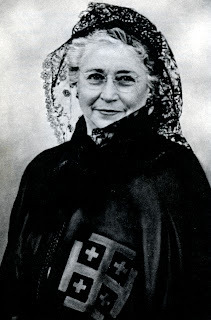 In 1952, she received the Ecclesia et Pontifice medal and membership in the Ladies of the Holy Sepulchre of Jerusalem from Pope Pius XII for her service to the church. She was also named an honorary member of the Franciscans and the Oblates of Mary Immaculate. In her 1948 will she bequeathed La Parra ranch headquarters and 10,000 acres of land to the Oblate fathers and 13,000 acres to the Diocese of Corpus Christi. The rest of her vast estate was divided among relatives and ranch kin. In 1948, Mrs. East met Christopher Gregory, a Trappist monk who had taken the name Brother Leo. Two years earlier, Brother Leo had been released from his vow of silence and assigned to raise funds for new Trappist monasteries. 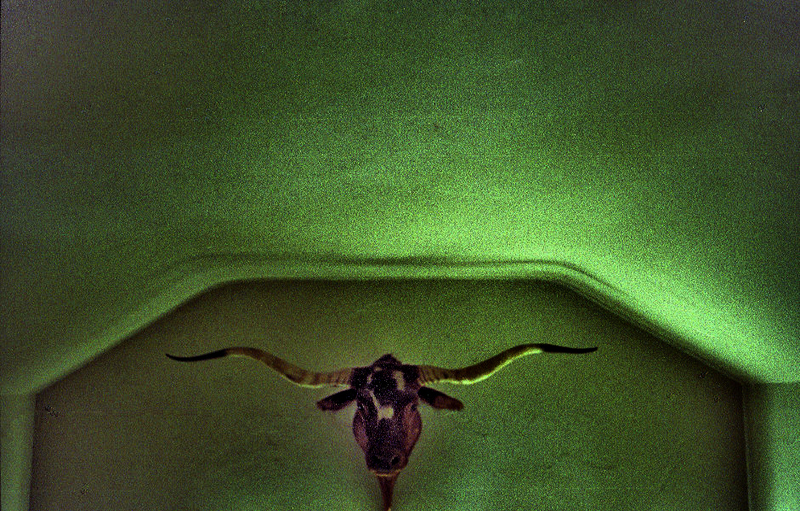 He was on a fund-raising trip through South Texas when he met Sarita East, and over the next few years he became her advisor and traveling companion. In the 1950s, Mrs. East allowed oil and gas exploration on her ranch which, up to that time, had largely been an untapped resource. During that time she gave money to the Trappist monks and visited monasteries throughout the world. In 1959, with other family members and Brother Leo, she went on a South American tour, one of several trips she made, and donated $300,000 to build a mission in Chile. That same year Brother Leo introduced her to J. Peter Grace, Chairman of the Board of W. R. Grace and Company, in New York. The three began the work of forming a charitable Foundation. On January 21, 1960, they established The John G. and Marie Stella Kenedy Memorial Foundation, with Sarita Kenedy East as sole member. Mrs. East also wrote another will leaving the bulk of her estate to the Foundation. Over the next few months she wrote a series of codicils to her will that increasingly gave more control of the Foundation to Brother Leo and Grace. Just before her death she named Brother Leo sole member of the Foundation. 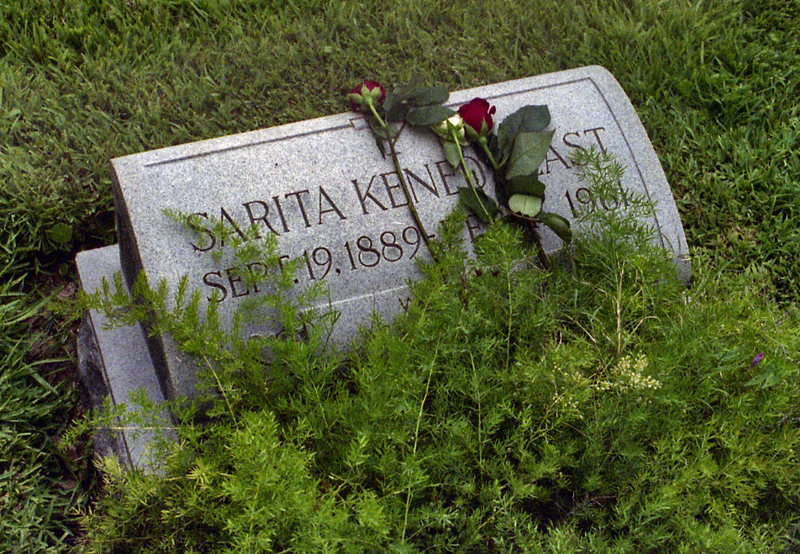 Sarita Kenedy East died of cancer on February 11, 1961, in New York City and was buried at La Parra Ranch. Within months after her death a group of South Texans, including Elena Suess Kenedy, members of the Turcotte family, and the Diocese of Corpus Christi, filed a lawsuit disputing Brother Leo's control of the Foundation, charging that Leo and Grace exerted undue influence over Mrs. East while she was disoriented by medication. Other relatives also contested her 1960 will and wished to reinstate her 1948 will dividing the estate among various beneficiaries. 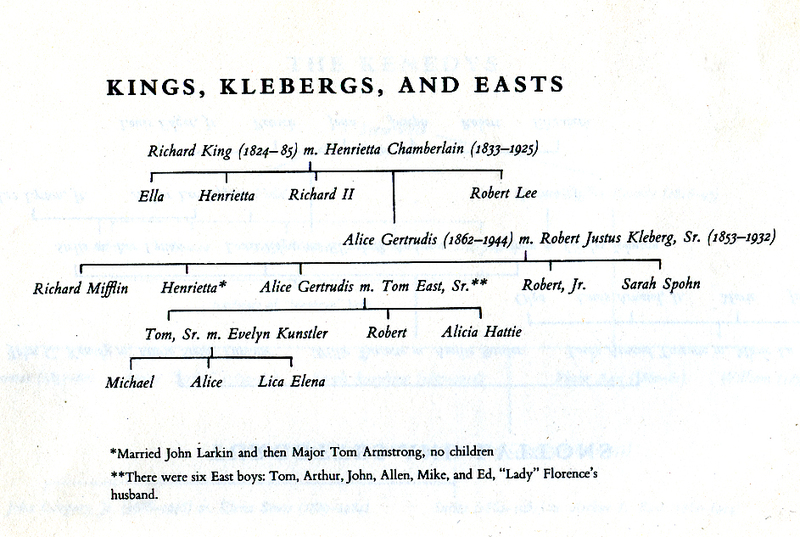 Over the course of the battle more than 200 people claimed to be legitimate heirs. 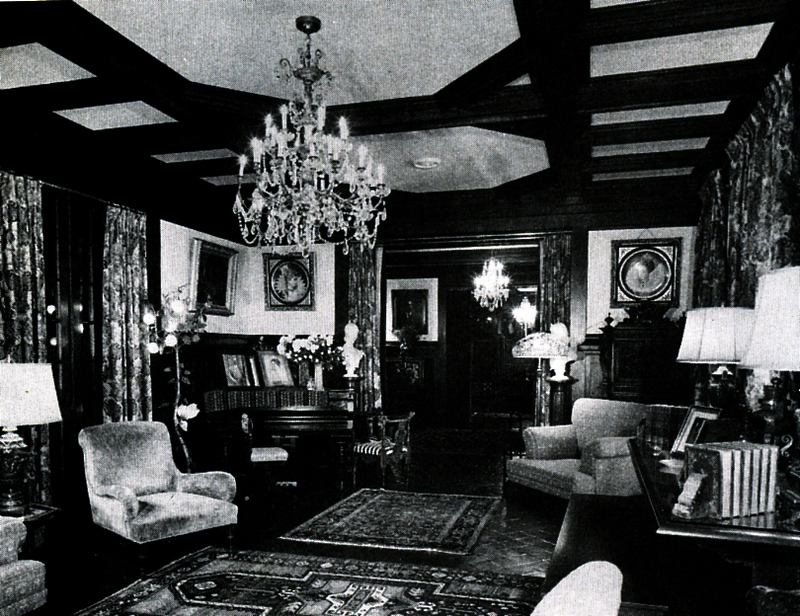 In 1964, a settlement regarding the Foundation resulted in the splitting of assets. 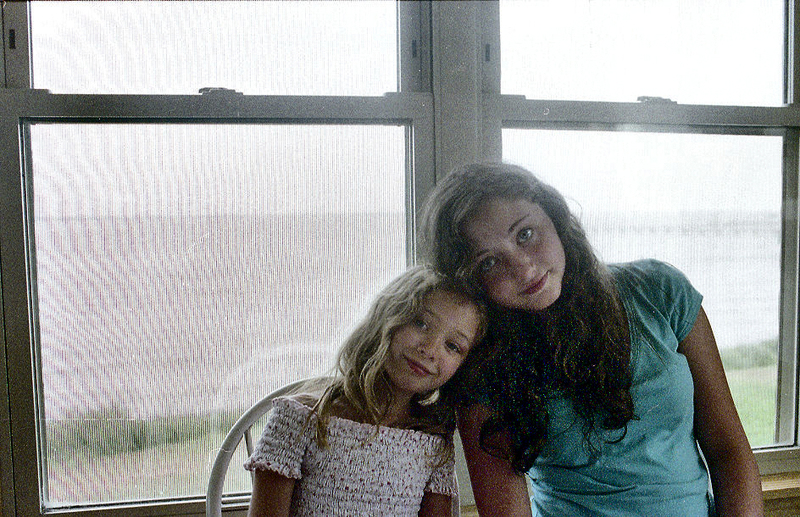 Grace and the New York group relinquished control of the Foundation over Brother Leo's objections. 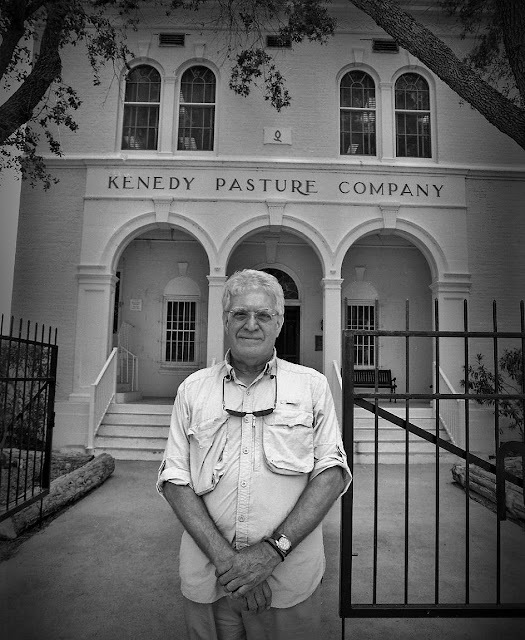 The bulk of the funds, approximately $100 million, went to the control of the South Texans, but Grace received oil royalties (not to exceed $14.4 million) from the estate and established a smaller Foundation in New York, the Sarita Kenedy East Foundation, worth approximately $13 million. 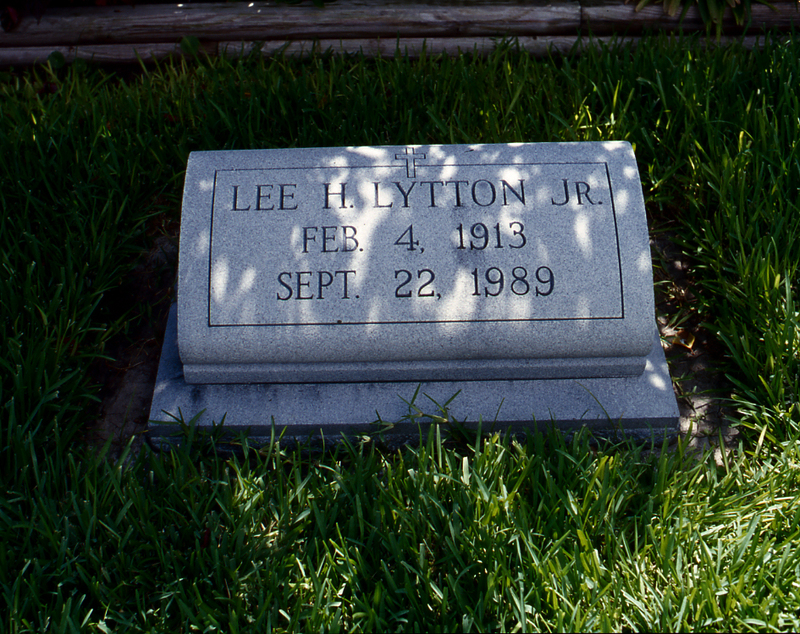 In 1966 Brother Leo filed an appeal against the decision; after a further series of appeals the Texas Supreme Court ruled against him. In June 1981, the United States Supreme Court refused to hear his appeal, thereby affirming the rights of the Texas relatives to retain control of the Foundation. 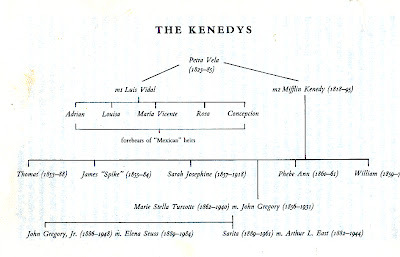 Through a series of court battles over the years the 1960 will was upheld over the 1948 will, and the assets of the Foundation and most of the Kenedy estate remained intact. As Mrs. East wished, the ranch headquarters went to the Oblate fathers. 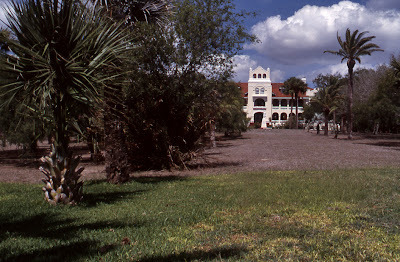 The estate, which had been held in escrow by the Alice National Bank, was finally turned over to the Foundation in 1982. In 1984, basically the first year that the Foundation officially operated, it had $100 million in assets and was the largest charitable Foundation in South Texas. It was stipulated that at least 10 percent of the income go to the Corpus Christi Diocese, with a total of 90 percent of funds going for religious activities and the other 10 percent going to secular agencies. BIBLIOGRAPHY: Corpus Christi Caller-Times, August 26-29, September 23-27, December 16-19, 1984. Stephan G. Michaud and Hugh Aynesworth, If You Love Me You Will Do My Will (New York: Norton, 1990). Vertical Files, Barker Texas History Center, University of Texas at Austin. A few weeks back before my granddaughters, wife and I drove to south Texas I wrote to Lee Lytton III to suggest that he meet us one day at the door of the Kenedy Ranch Museum of South Texas in Sarita if he might want to give us a tour of the town as he had been born there and lived until his late chidlhood. From there I was asking him to cross the highway and head to La Parra re-named Lebh Shomea House of Prayer as it is a spiritual retreat run by the Oblate Fathers. Lee had been my classmate at St. Edward's High School and we had both graduated in 1961. 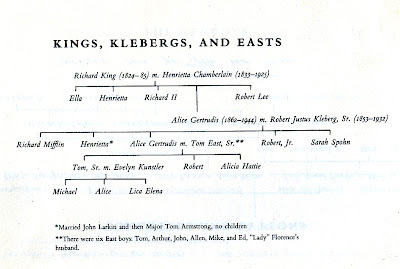 It was only in later years that I found out about his grandmother's and father's connection to Sarita Kenedy East. It was Lee who three years ago sent my a library copy of the book that tells the story of one of the longest running litigation process in Texas, If You Love Me You Will Do My Will by Stephen G. Michaud and Hugh Aynsworth. Lee kindly offered to accept my invitation, and drive all the way from San Antonio where he teaches law at St. Mary's University. 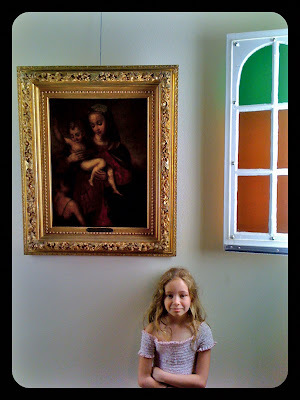 He was there, at the museum door, when we arrived at Sarita a couple of weeks ago. He got to meet El Borrado before he went for his home and then Lee gave us and the Director of the museum, Homero Vera a tour of the premises. You see, Lee lived there before it was a museum. On our way to La Parra he further surprised us by telling us that Sarita Kenedy East had been his godmother and he had often visited her with his father and family. 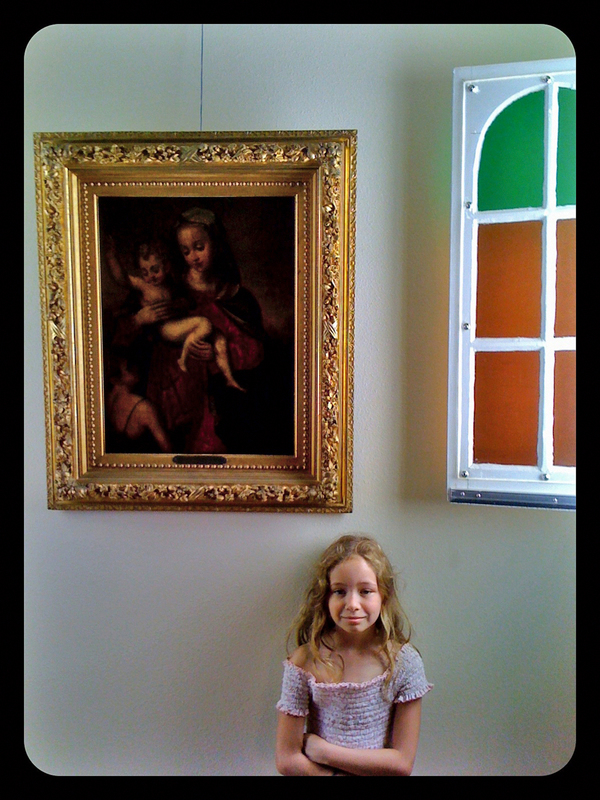 Of La Parra's collection of Renaissance paintings (a few remain in the ancillary chapel) furniture, carriages, etc nothing remains. The place has been transformed to a spiritual retreat. 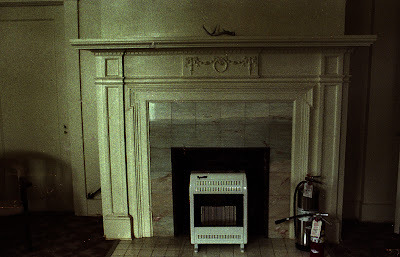 The interiors are gloomy and stark and the smell of various repeated coats of enamel reminded me of an old hospital. Lee gave us a tour that was especially punctuated by his gesticulating hands. 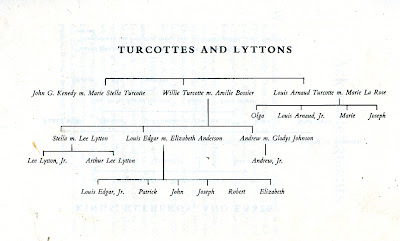 Could it be that the Lyttons and the Turcottes may have had some Italian ancestors? But his smile and enthusiasm at times seemed to be shifting to tears. Perhaps because of the long lost memories that were coming back or perhaps because in some way the Oblates have done to La Parra what the conquistadores of the past did to obliterate the Indian culture that came before them. Of Sarita KenedyEast's life at La Parra all we had were Lytton's memories and our accompanying imagination. After touring La Parra we visited the nearby chapel where I took pictures of Rebecca and Lauren and from there we visited the little cemetery that has the graves of the Kenedy/Easts, the Turcottes and the Lyttons. Lee brought roses and left a bunch on the graves of his grandfather, grandmother, mother and father (while having a little conversation with each one of them). Then with a cursory glance at the Turcottes he proceded to leave roses on the Kenedys and the Easts. The sadness of the place was transformed quickly into sheer delight when Lee invited us to have lunch at the nearby King's Inn on Baffin Bay. I have never been to Cape Cod but somehow when inside the restaurant which served us wonderful food I felt I was in Cape Cod. Well, thank you so much for all the great pix. The picture of the geezer in front of the Kenedy Pasture Company…who is that guy anyway? Going through the big house and environs was such an incredible experience for me, and so full of old ghosts and memories. What I realized as I pondered the day with you and your family, was that fate, or a higher power, dictated that it was the perfect day in time for us to have the opportunity to make this unmolested, leisurly tour. How lucky is it that they didn't have a single guest to be concerned about? What I also realize in retrospect, is that I'm the only person alive today with an active recollection of the sounds, people, and daily activities of folks long gone who lived and carried on life there. I know so much about the place because of an accident of fate. 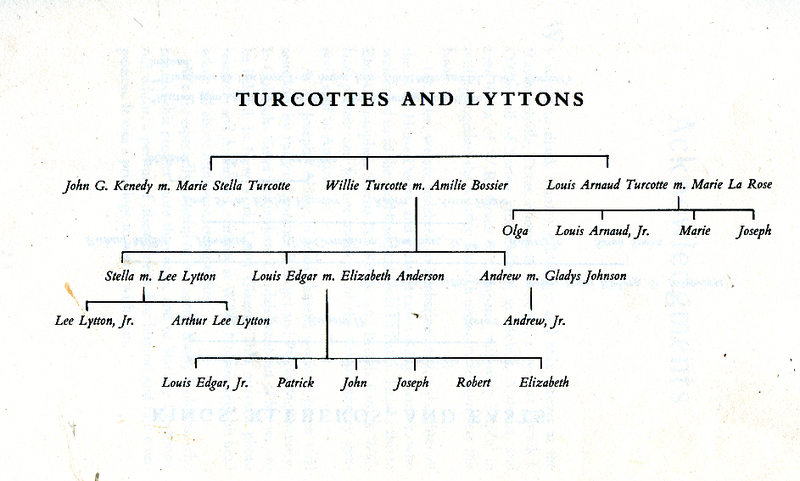 I was the first born of a large generation of Turcotte cousins, but I was the first, oldest and only son of my father, and as such I enjoyed a relationship through Dad (and my own grandmother), with Aunt Sarita that no one else ever had, including my two younger sisters and all of the younger Turcottes. I had no playmates my own age then, and Dad used to call me his "shadow" for good reason, since I always tagged along with him as a little kid with a vivid imagination. I was primed to spend endless hours roaming around La Parra unrestrained by anything other than what my fertile little mind could conjure up. And so, with few exceptions, I know every inch of the place and all the "ghost whispers"…but I know it as it really was, and like no one else alive today can possibly remember it. And so, "thanks for the memories", and thank you for drawing me back for a one day reunion with my roots and with a wonderful romp through times that will never pass this way again. 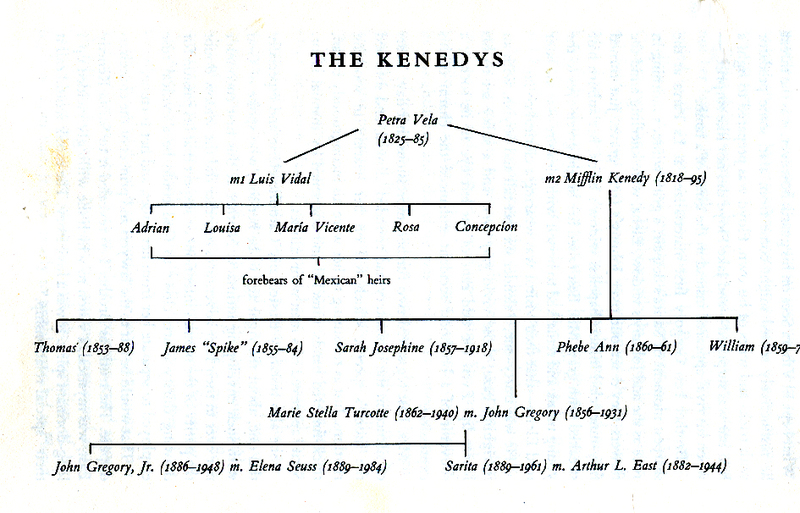 Addendum: Those who are wondering, my friend Mike East is the great nephew (not related by blood) of Sarita Kenedy East. And the Santa Fe Ranch Office is a couple of blocks from the museum in Sarita.